سواءً كنت مسافراً بغرض السياحة أو العمل, Te Anau Top 10 Holiday Park هو خيار عظيم للإقامة خلال زيارتك تى أناو. يقع الفندق على بعد 0.2 Km من مركز المدينة، ويؤمن الوصول إلى أهم مراكز المدينة. إن سهولة الوصول من الفندق إلى المعالم السياحية الشهيرة الكثيرة في المدينة كمثل Kowhai Gifts & Souvenirs, Te Anau Glow Worm Caves, ‪Fiordland Water Taxi‬ هو استثنائي بحد ذاته. كما يقدم Te Anau Top 10 Holiday Park الكثير من الخدمات لإغناء رحلتك في تى أناو. إن واي فاي مجاني في جميع الغرف, مرافق مخصصة لذوي الاحتياجات الخاصة, تخزين الأمتعة, واي فاي في المناطق العامة, صف السيارات هي جزء فقط من الخدمات التي تميز Te Anau Top 10 Holiday Park عن باقي الفنادق في المدينة. بالإضافة لهذا,تتضمن كل غرف الضيوف مجموعة واسعة من وسائل الراحة . بعض الغرف توفر حتى تلفزيون بشاشة مسطحة, حمام إضافي, سجاد, قهوة فورية مجانية, شاي مجاني لإرضاء أكثر الضيوف تطلباً. كما أن مجموعة الخدمات الواسعة الموجودة في الفندق لضمان راحتك تترك لك الكثير من الخيارات لقضاء وقتك أثناء فترة إقامتك. إن Te Anau Top 10 Holiday Park هو خيار ذكي بالنسبة للمسافرين إلى تى أناو، بما يوفره من إقامة هادئة ومرحة. I arrived late at 9pm and the reception was closed, however, the very kind staff left sealed welcome letter on the office door with very detailed instruction to access the room. The room is simply facilitated but everything is good enough for a comfort overnight sleep. Strongly recommend!!! We stayed 2 nights in Te Anau. With love the peaceful ambience, big and clean room, and heated bathroom. Cooking was made easy with the kitchenette in the room. The room size fits my family of 5 comfortably. It's very near to the Te Anau Lake... and walking distance to all the shops nearby. We love it. Stayed 2 nights at the Self Contained Unit. It was spacious and clean. We were able to park our car directly outside the unit which made it really convenient. Restaurants are just less than 5mins drive away. nice place. but pls check wether its a shared bathroom or not. Agoda does not make it clear wether its shared or not. Anyway the place is awesome with a lot of amazing facilities for the whole family. the sahred bathroom facility was clean and neat. shared kitchen was big. entertainment abd tv room were awesome. and my kid loved the playground. Value for money. Hi Prabakhar, Thank you for taking the time to write a review! I'm glad you found our facilities accessible. We love hearing about families that have come in and enjoy what our park has to offer :) It sounds like your child was able to take full advantage of the kids facilities too. The games room, jumping pillow and playground usually keeps the kids entertained no matter how long they are here! If you are ever back in New Zealand, be sure to come and visit us again. Kind regards, The Te Anau TOP 10 Team. Would recommend this Holiday Park to all. We had a self contained unit which was very comfortable. We were very close to town, it was a five minute walk to places to eat. 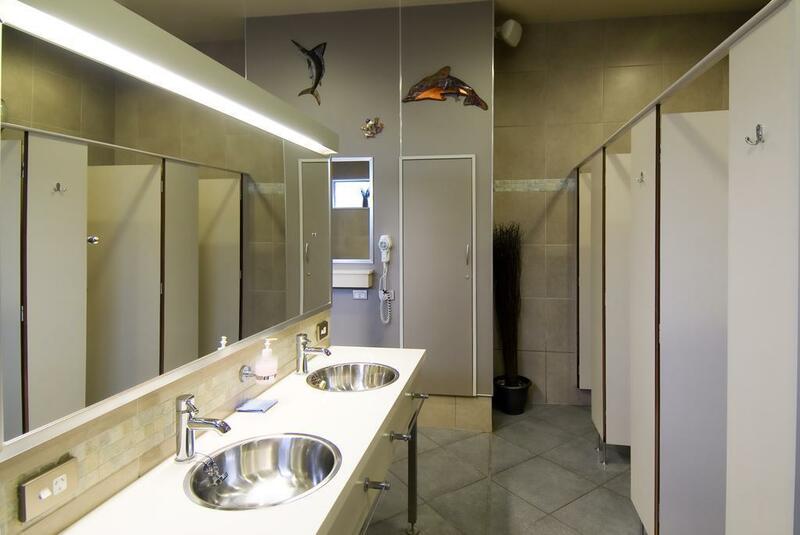 Although we didn't use the shared bathrooms, when we looked they were of a very high standard. Very Family friendly with many types of Accomodation. The en-suite room is clean and large. The parking is just right in front or behind the room. The have pantry as well if you wish to prepare your own meals. During check in, they will provide you a small bottle of fresh milk which is great for making coffee and breakfast. The room is small. You cannot even find one single pot to boil anything in the kitchen. The worst thing is that there was a crazy drunken old man yelling at customers with F words for anything that he doesn’t like. Very disappointing accommodation. Stay off or you pray you don’t meet the old man. 43 years of experience do really shows. Everything is perfect, large clean room, toilet, kitchen etc. A very accomodating staff and definately come back for sure. as our late check-in, a staff did not release the room for others. The ensuite cabin is very clean, neat and quiet. A double bed in a living hall and 2 single bed is a room. Can do a simple cooking, suitable for family vacation. Location is very good, very near town centre. Staff service is excellent. Will definitely come back. Great location and good stopover before heading to Milford Sound. Motel is close to village centre and across the lake. There is a park with excellent playground facilities which the kids enjoyed. Motel unit is comfortable with all the expected amenities. They even have a game room for kids! Prime location - opp lake and walking distance to town. Room is clean. I rented a studio with basic kitchen - microwave given. If need to cook, will need to do so at common kitchen. Good for a one night stay. Or else will feel like a fishing bowl room as two sides of the room look out to the internal road. Hi Angel, Thanks for your review! We are so lucky to have such a great location in such a beautiful part of the world and am so glad you were able to enjoy it with us. We appreciate your feedback on the room location as most of our rooms are situated in quieter parts of the park. We will take into consideration ways we are able to make this room more private for future use :) We hope to see you again in the future! Kind regards, The Te Anau TOP 10 Team. we booked several rooms ( self contained unit, motel unit). The room is clean and comfortable. 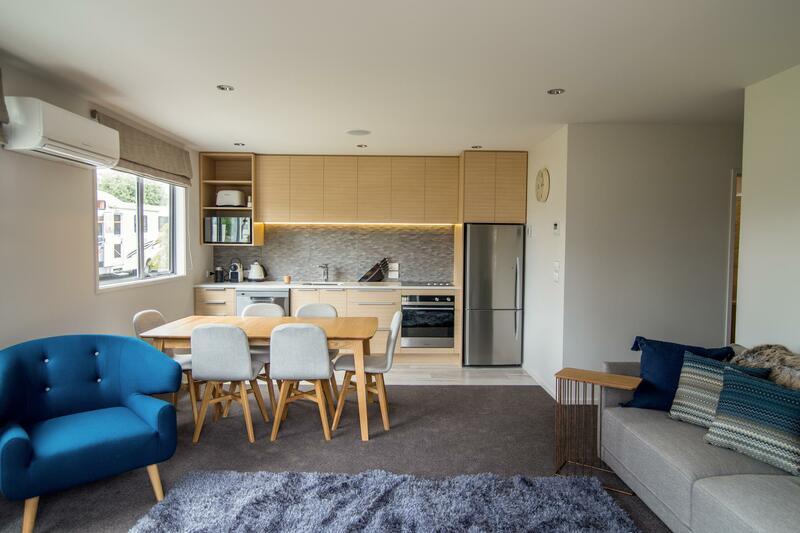 Location is close to the lake ( cross the road), and 5 minutes walk to Te Anau centre. Highly recommended. The location is excellent and the room is spacious. Very suitable for families. It is the small details which are a bit odd, for example, there is a wooden narrow stand above the wash basin in the bathroom, which makes one impossible to stand up straight while brushing tooth. You kind of need to squat down so you can spit out the water into the basin. The room size is very good, though. We arrived quite late, but the staff left us with very good instructions on our room locations, keys etc. The holiday park adopted two lambs, and it was quite fun looking at them. Room was alright, heater was working fine as it was quite cold at night. We were too late to make it for check-in and panicked. Thankfully, agoda was able to contact a staff and helped us check in eventually. Service over the phone was very polite and helpful. The room was big and clean. I loved that the toilet had a heating bar for clothes or towels to dry quickly. That was very thoughtful. The place was near a lake and it was beautiful. Check out was very swift and no hassle as we headed out early to Milford sound. Best place to stay at before going to Milford. The room was clean, spacious and well equipped. It was a cosy place to stay and location was good as well. We really enjoyed our stay here, the only issue we had was with the water heater. As there were four of us, the last one to shower didnt had hot water to bathe in. It was quite torturing to shower in cold water during winter.